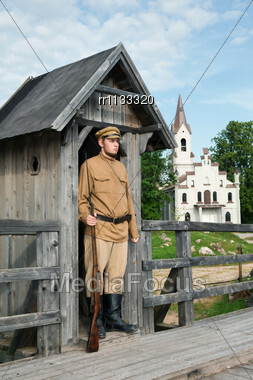 Find similar images with "soldier armed gun standing"
More images similar to "Soldier Armed With A Gun Standing At Sentry. Costume Accord The Times Of World War I. Photo Made At Cinema City Cinevilla In Latvia"